A latest smartphones user enjoy using XOLO smartphone. Because XOLO made there every smartphone with latest color, design, slim and latest version of android OS. Some smartphone user doesn’t know what is the best smartphone on the market. But if you want to buy best smartphones, you must check high configuration processor, RAM, latest version of android OS and high-quality camera. However, this type of android smartphone have some bad problems. These problems are android phones hang, pattern lock, Gmail lock, forgot user code etc. Maybe think if I face this type of problems how can I solve this. Don’t worry, we will provide you how to hard reset, factory reset, password reset, unlocked phones without any cost. so you do not go to the service center can repair your mobile ‍at home. Now I will show you how to hard reset/factory reset XOLO Opus HD. let’s see our easy steps. A soft reset is a very simple and easiest process to reset XOLO Opus HD. If you use soft resetting method you won’t lost any data from your cell phone. This process doesn’t solve any major problem, but it helps to solve a minor problem. 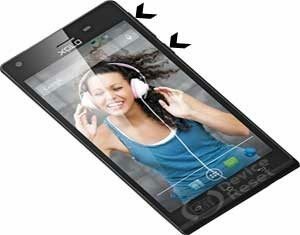 Turn off you new smartphone XOLO Opus HD and remove all SIM card or SD card.